If we take a look at the numbers, K2013 received 218.000 trade visitors from well over 120 countries and 3,200 exhibitors taking part. Even that those visitors are 2% less than in 2010, the number of exhibitors increased in more than one hundred. The positive date is the rise of international presence, 58% of the visitors came from abroad. You will find more numbers on here. For 42% of trade visitors the presentations of raw material producers where of prime interest as also happened with the solutions for saving resources and energy efficiency. 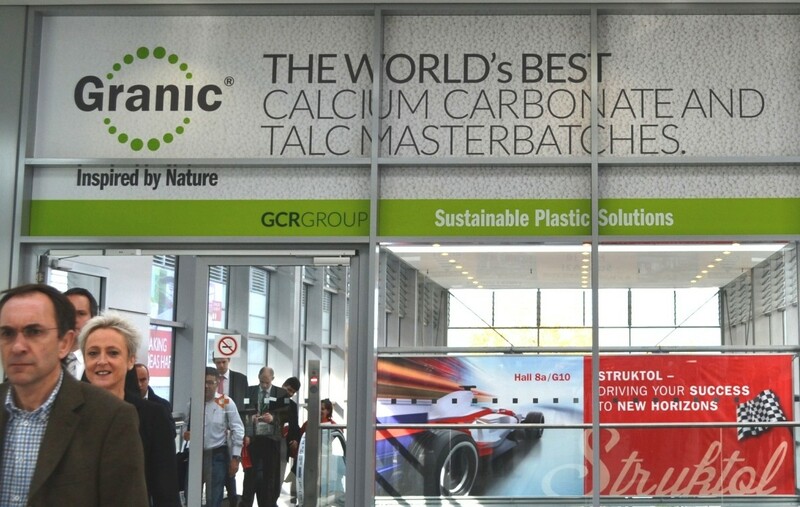 Granic and Ciclic fit well with the visitor’s interests as both are sustainable plastic solutions environmentally friendly and cost-effective. K Trade Fair website began its countdown that will finish next 19th of October 2016, when K show will begin again.